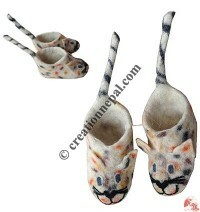 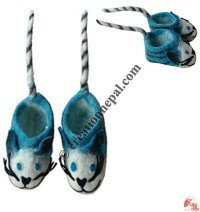 Handmade woolen felt shoes are one of the best selling felt products from Nepal. 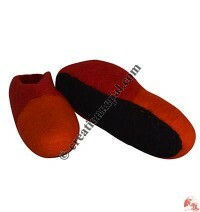 Our indoor winter felt shoes helps you keep warm and comfort inside your home. 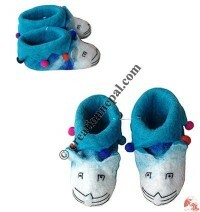 Whether you want to have extra thick booties or thin fashionable slipper, all kinds of felt shoes are available for all age sizes, color and design. 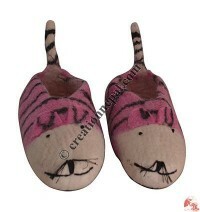 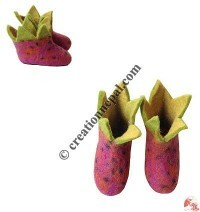 Here we offer different design handmade felt shoes decorated with colorful felt pom-poms or embroideries or crochet. 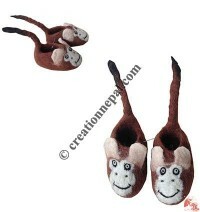 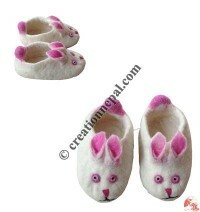 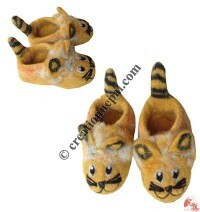 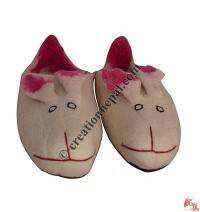 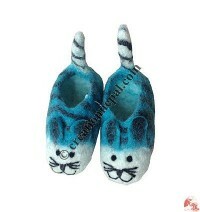 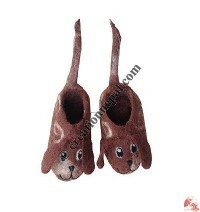 Choose or imagine any design of felt room shoes for kids, felt baby shoes, ladies felt slipper etc. 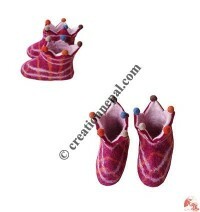 from the following list or ask us for color chart to customize your own color, we will be happy to create your own based on our years of experiences.